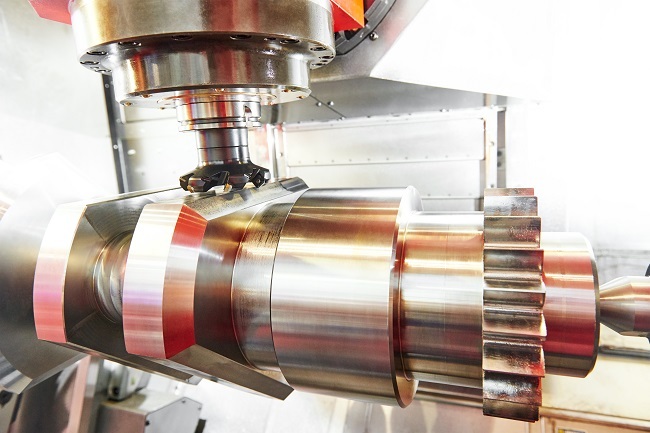 The use of tail stocks, steadies, and sub spindles, twin turrets along with C Axis, CY Axis and B Axis are regular features on today’s Multi-Task machine tools. In this collision rich environment, the programming of these machines is made simple and safe utilizing EDGECAM’s turning and milling combinations in a single environment. With the addition of 4 and 5 axis simultaneous milling, the simulation of these machine tools is made even easier. EDGECAM offers a full kinematic Simulation package. All the cycles and movements are supported along with the full graphics of the machine, tails stocks and steadies meaning peace of mind as the part is fully tested before reaching the actual machine tool. The simulator being a very powerful tool in its own right offering full collision detection including many display options allowing the user full control over every aspect of the simulation. Feedback is given to the user show which commands are being simulated, this will also display which elements of the program may have caused issues. Comparison tools to show the part is machined as expected and correct before outputting to the machine tool. Mill Turn machines have many uses and allow much more flexibility and capabilities not offered from other machine configurations. With this in mind many of these have multi axis, upper turrets, lower turret, CYB and Sub Spindles. EDGECAM uses the latest cutting technologies and machine cycles and with this offers 4/5 Axis simultaneous milling options. For many industries this is becoming a must have option on a mill turn machine tool. EDGECAM offers a wide range of 4 and 5 axis Operations and Maximum control in its cycles, with the Advanced 5 Axis options allowing even greater potential. With the addition of 4 and 5 axis simultaneous milling the simulation of these machine tools and fixtures is made easier, even for experienced manufacturing engineers. This mode allows the user to perform milling operations using the C axis with Rotary options allowing programming along the Z Axis. Allows the user to machine features around the diameter giving flexibility to the user to turn the component, then create the mill features using driven tooling. The Y axis milling capabilities allows the engineer more control over the toolpath creation and CNC code output. EDGECAM supports plane switching where available on the machine tool and keeps the CNC code to a minimum by outputting arcs as required. in a Mill Turn environment EDGECAM fully supports the use of B Axis head work whether working on single spindle or sub spindle machines. B Axis positioning on upper turret allowing more precise and varied approaches to Mill/Turn parts giving the engineer a more flexible approach to programming complex components. The B Axis can be programmed to tilt to any number of angles to allow the many milling options available to tackle any number of features such as Faces, Pockets and Holes. B Axis machining on both the main and sub spindles maximizes productivity allowing optimum machine performance. These features are also supported by our Full Kinematic Simulator with collision detection when using for 4/5 Axis Simultaneous work. This provides accurate feedback of the part being cut before release to the actual machine. The Four Axis turning option in EDGECAM allows major advantages and functionality which is not always easily achieve at the machine control. EDGECAM programming techniques allow you to use more than one turret at the same time in the mill turn programming environment. This means you can use two fixed cutting tools in the same cycle by using a number of Four Axis commands from the Cycles menu. EDGECAM functionality will program turret movements which are mirrored about a plane on the Z axis and shows the toolpaths lying on the opposite side of the Z plane. The mirror cycle is a very powerful command that will allow various mirrored operation to be performed, such as, a right and left handed turning tool to action a Rough Turn and also Back Turn simultaneously. Turret synchronization will also be include where required. Another of EDGECAM’s many features are balanced cycles. The Upper and Lower turrets work opposite each other about the Z axis. These cycles have an additional parameter called Z Lead. Using a value here instructs the currently active turret to cut in front of the other turret by the Z Lead distance allowing increased and improved metal removal. This cycle is automatically synchronized for optimum performance. A feature often needed by engineers is Synchronization between Upper and Lower Turrets. EDGECAM performs this function with ease. Use of wait commands simplifies the synchronization of the Upper and Lower turrets when wanting to use these independently. The synchronization function is a major requirement in order to perform start and stop procedures with the upper and lower turrets and maximize efficiency in cycle. EDGECAM visibly defines these operations in the manufacturing sequence and none productive time is clearly shown in the sequence time line.